During our travels through Central America we heard mixed things about the safety of El Salvador. It was hard to decide wether to put in on our itinerary or not. The bus that we took from Nicaragua to Guatemala stopped in El Tunco, El Salvador, the one town that we had heard so much about. 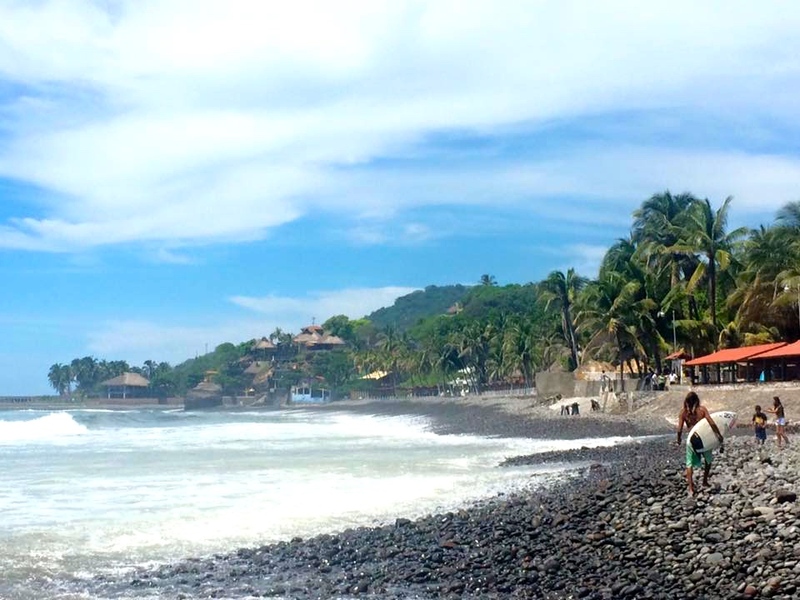 El Tunco is the most popular surf beach in all of El Salvador but as neither my boyfriend or I are super into surfing we decided we could give it a miss. The bus was going to have a four-hour break in El Tunco before continuing onto Guatemala so we decided that would be enough. In hindsight I wish we had stayed at least a night (if not more) as we discovered a magical little town in our four hours in El Tunco, El Salvador. Note, El Tunco consists of two streets… so small! If you love surfing than this town is for you. With epic waves and cheap board hire you could easily waste a few hours, or days, paddling out in these shores. One thing I noticed was how cheap El Salvador was. Compared to the rest of Central America it was crazy cheap. 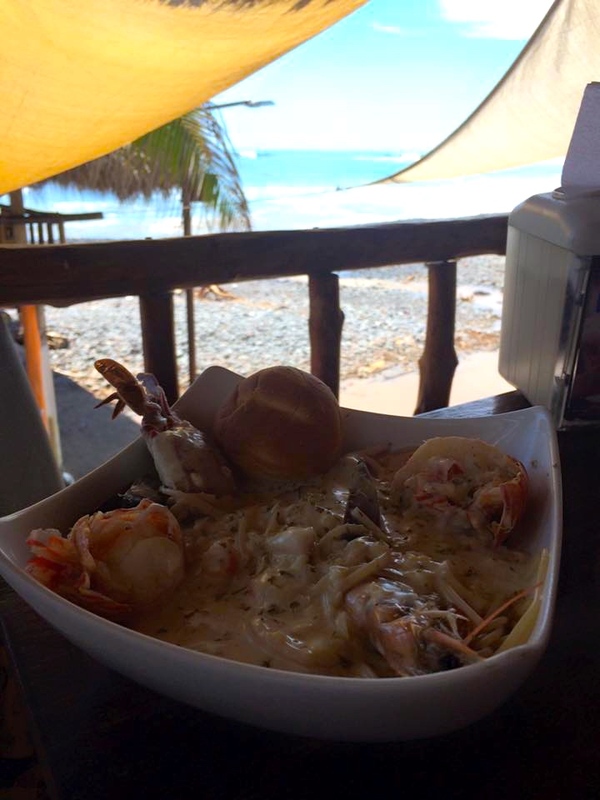 I had one of the best meals of my life, a fettuccine pasta dish wish freshly caught lobster, crab, mussels, prawns and scallops with garlic bread for $5. And Ocean views to boot. Incredible! If you are ever in town be sure to eat at High Tide, my mouth is watering just thinking about that meal! If you like juices and smoothies then you will love El Tunco. Not only is the produce fresh but the prices are cheap. 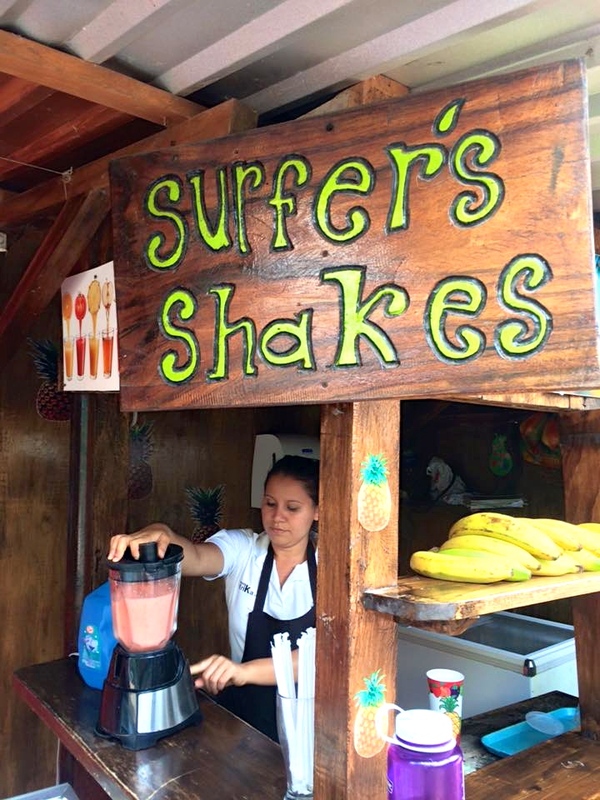 I loved my smoothie at Surfers Shakes. Whilst I left before sunset I have heard good things and seen stunning photos from this little town at sunset. Note: The bus from Nicaragua to Guatemala stops in El Tunco, El Salvador but how much time you have there depends on traffic and border crossing waits from Nicaragua. I wouldn’t rely too much on having a few hours there as we did. You will save $5 by booking the bus from Leon, Nicaragua to El Tunco and El Tunco to Antigua, Guatemala separately so if you are certain you would like to spend time here I suggest booking them separately. 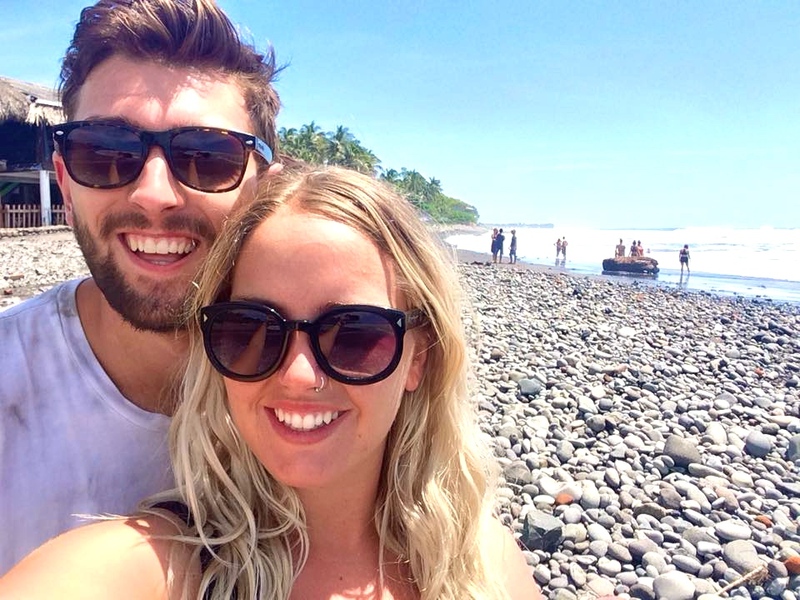 That’s how we spent four hours in El Tunco, El Salvador but in hindsight I wish we were there longer. I can’t speak for all of El Salvador but El Tunco seemed very safe during my time there and I wouldn’t hesitate in recommending it to you either. As always, travel safe, keep updated with issues in the area and be cautious. Over to you! Have you been to El Tunco or El Salvador? What advice would you give to fellow traveler? Leave it in the comments below! A Guide To La Fortuna, The Adventure Capital Of Costa Rica!